Washington, Dec. 13 – While earlier reports had said President-elect Donald Trump would be announcing five-term Washington Congresswoman Cathy McMorris Rodgers as his choice for Secretary of the Interior, Politico has reported that the position has been offered to Montana’s freshman Rep. Ryan Zinke instead. For now, it appears that she may be staying in Congress, where she has a strong history of advocating for the rights of people with disabilities. “I’m energized more than ever to continue leading in Congress as we think big, reimagine this government, and put people back at the center of it,” McMorris Rodgers posted today on Facebook. But that means Trump’s proposed Cabinet still is missing disability representation. Gary Cohn, who has dyslexia and openly talks about how it has led to his success, has been named as head of the National Economic Council, but that is not a Cabinet-level position. McMorris Rodgers has been a strong proponent of measures to support people with disabilities, such as the Achieving a Better Life Experience (ABLE) Act, which allows people with disabilities to set up tax-free savings accounts, and the Individuals with Disabilities Education Act (IDEA), which ensures access to education for children with disabilities. Earlier this December, McMorris Rodgers received the United States International Council on Disabilities’ Dole-Harkin award, which honors leaders who have been crucial players in the global disability rights movement. Much of McMorris Rodgers’ work on disability is based on helping people with disabilities live independent lives. “We want to live independently, we want to work, we want every opportunity for those with disabilities to have the opportunity to live the American Dream,” McMorris Rodgers said at a rally for the National Council on Independent Living last year. Her dedication to disability rights comes from her experience raising a son with Down syndrome. Raising a child with a disability has made her “a better person and a better legislator,” McMorris Rodgers said. 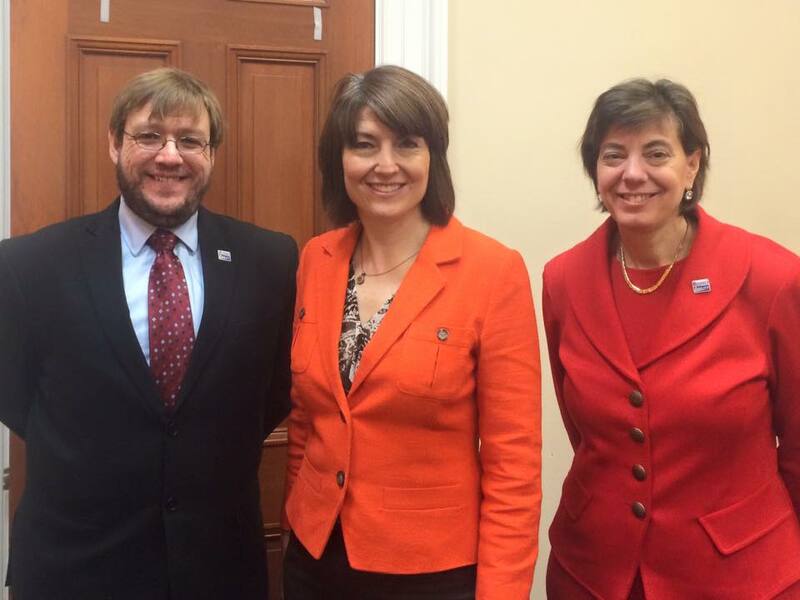 McMorris Rodgers is active in the Down syndrome community as well, as the founder and co-chair of the Congressional Down Syndrome Caucus. She also helped launch the first season of Born This Way, a reality TV show that follows the lives of young adults with Down syndrome, at the Washington, D.C., premiere in December 2015. Additional reporting provided by Jennifer Bohlman.